Profoundly fascinated by the history of art and watchmaking, Karl-Friedrich Scheufele is the driving force behind the Chronométrie Ferdinand Berthoud, of which he is the President. Born in Germany in 1958, he was raised in Pforzheim until the age of 15. In 1963, when his family took over the Chopard watch Manufacture in Geneva, he enrolled at Geneva International School. He later served an apprenticeship with a Geneva jeweller before continuing his studies at the University of Lausanne Business and Economics Faculty and preparing to join the family firm. 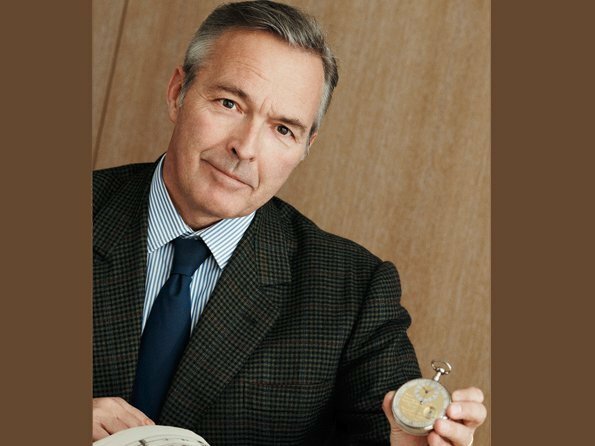 In 1996, Karl-Friedrich Scheufele founded Chopard Manufacture and opted to focus on the production of finely crafted mechanical movements. The company is based in Fleurier, in the Val-de-Travers. In 2006, when inaugurating a watchmaking museum in Fleurier named “L.U.CEUM – Trace of Time”, he also acquired the rights to the name Ferdinand Berthoud which he subsequently registered in 2013 as the Chronométrie Ferdinand Berthoud. His goal is to offer incomparable and resolutely contemporary watches reflecting the spirit of excellence cultivated by Ferdinand Berthoud. Chronométrie Ferdinand Berthoud offers a contemporary take on the work of a master watchmaker. Its exclusive timepieces, developed by today’s master watchmakers, are a tribute to the excellence of yesteryear.